No longer do you want to feel stressed out, hopeless, and stuck. You have the desire to discover your full potential, evolve, heal, and grow. Most importantly, you have a knowing that TIME INVESTED IN THE SELF IS THE GREATEST INVESTMENT ONE CAN MAKE. Creative expression is the inner you waiting, wanting to come out. You see, we have our personality and our individuality. These are two completely different things. Our personality reflects who we are day after day in our humanness. Our individuality is an expression of our spirit in connection with our mind and body. Our individual spirit not only wants us to heal, but knows best what we need to express in order to heal. You might call it healing for your soul. Of course we need a means of this inner creative energy to flow outward. There are many self-healing tools and techniques in which to do this. Some utilize creative writing while others connect better with music and sound healing, art therapy, photography, or other. Heck, try them all if you want. Explore a little. Find what works for you. Whatever keeps your boat afloat and keeps you from sinking. Right? Right. Besides, it is through self-exploration that some of your greatest creative gifts are discovered. People with emotional conflicts and others. How does self-healing through creative expression help? Privides an over all sense of freedom. Self healing through creative expression is considered a safe complementary therapy to help people with both physical and emotional problems. Not only is it healing, it helps us to discover hidden gifts that we may not have known existed. It helps us bring our innate abilities to the surface. At times, uncomfortable feelings may be stirred. No need for concern as this is considered part of the healing process. Below is a list of other insightful, informative articles to help you along your Self healing through creative expression journey. Happy Reading!! Through my personal experience, I feel I can help validate for you the legitimacy of music and sound healing or as most refer to it, music therapy. Music literally saved the lives of my two children. It's a real story of self healing through creative expression. We express through art by connecting to an inner creative energy that is in essence, our individual spirit. 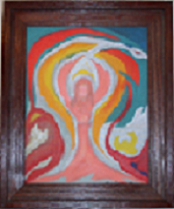 We can generate intuitive spiritual healing through art. Healing through prayer and meditation allows us to calm our racing thoughts and tap an unlimited amount of creativity within us giving us the ability to achieve great things. connecting with nature through making herbal healing recipes, experiencing healing waters, or collecting stones can all enrich and nourish your life. There is a certain healing power of crystals. They are powerful beings in their own right just as we are. If we approach them with respect, they will show us how to use them to enhance our life. Real life Poetry of the Heart for healing, inspiration, motivation, and self empowerment. Very moving and transformational. An affirmation can not only help in building self esteem and increase confidence, it can help us eradicate disease and infection from the body. In Native American Healing practices, drumming is used in rituals, ceremonies, celebration, healing, and as a form of communication. Spiritual art is not only beautiful, it is visually healing as well. Beautiful Natural Quartz Crystal Balls at wholesale pricing, comes with crystal ball stand and storage box. Great mix of tumbled gemstones at wholesale pricing including jade, rhodonite, tigers eye, black onyx, amythyst, rhyolite, jasper, agate, and more. photography can be extremely healing and can tell a story about you, the photographer. Self expression through photography is a wonderful means to generate self healing. Informative Alternative Health Natural Healing Articles covering a wide variety of Natural Healing modalities. Natural healing resources for overall health and well-being. Healing through alternative medicine such as magnetic therapy, herbs, music and art therapy and more. The Creative Expressions Newsletter offers monthy inspirational quotes, poems, site updates, special deals, etc. The Self Healing through Creative Expressions Blog keeps you up-to-date with all additions and changes to the self-healingexpressions.com Web site. Subscribe here. Save on all your favorite things at the CreateForLess Everything You Love Sale! Items on Sale at OnlineFabricStore.net - shop today! Express yourself through dance. Learn Belly Dancing via this video. Look Great! Get Designer Eye Glasses and Frames at Great Prices! Use this google search feature to quickly find the information you're looking for. For the lowest prices on all your favorite healing music, books, movies, etc. visit Amazon. Simply enter what your looking for in the search box above. I strongly suggest checking out the "Native Remedies" site below. The site below has tons of useful information to help individuals along a spiritual / healing path. At the site listed below, you can also decorate your home with your own creative touch by having your photos put on a canvas or a large framed print. This is an awesome way to do some self healing through creative expression.